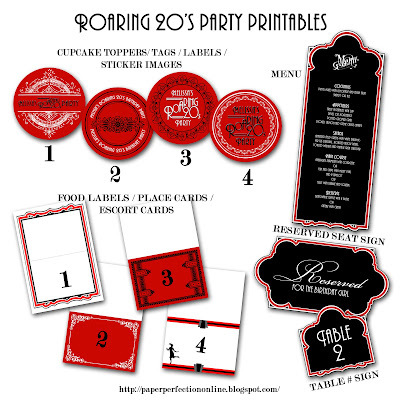 I have been making party printables here and there for a client's Roaring 1920s birthday party. I believe this is my third post with things that I have designed. If you are interested in printables for a Twenties party or custom designs like my client, contact Paper Perfection at jtanddolly@yahoo.com for pricing and details.